Your initial thought might be: but Hoda, don't you #hashtag all of your photos with #downwithclasses? How could you possibly be a good student?! 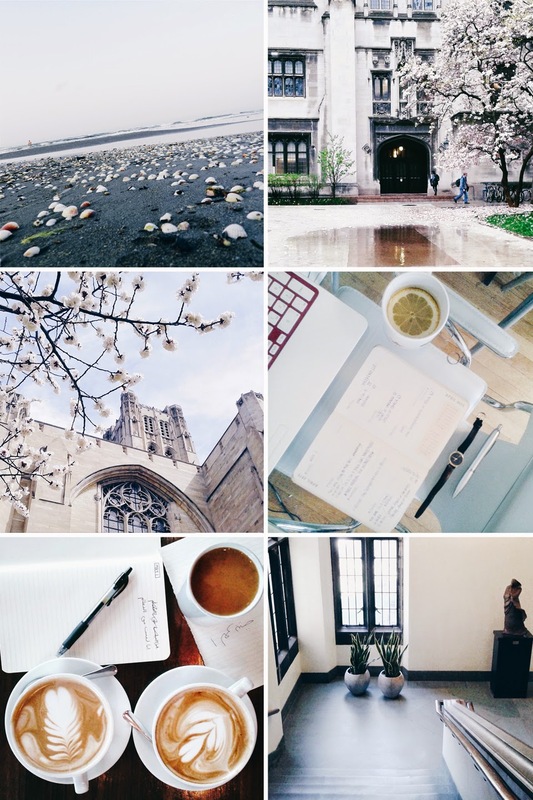 I realized that I haven't done a proper catching up on these little snippets from my obviously uneventful life via instagram in awhile, and you all seemed to enjoy these sort of posts so here are just a few photos from my current feed (@hodakatebi). Instagram is easily my favorite social media because I think it's the most challenging, artistically, which is rather enjoyable! I think having a cohesive "edit style" or gallery style is something that I decided that I wanted to try to do, as it's a great way to make your Instagram look cohesive, professional, and attractive (this translates into more followers, for those of you trying to grow your following!). And with all social media, it's important to engage with others in order to grow your own platform (not to mention it's just so much fun!). I can safely say I've earned quite a few brand/photographer/blogger collaborations via Instagram and I think it's worth all the time that it takes to maintain/post regularly, engage with others, use relevant hashtags, and keep a unified "look" throughout your feed! UPDATE: I just ran into a great post on the Nectar Collective that lists the Best Hashtags to Get Your Instagram Noticed & Shared and I though it is also relevant to this post, if you'd like to take a peek! haha you are always so funny! Pretend to be good at marketing, haha! I am an active user of IG, simply because i love the platform, visually, it's very stimulating to be inspired by so many talents out there, one like yourself. And also I feel it's quite instant, a good way to promote your brand (even more so if you have products to showcase). Nice blog post! Have a beautiful week. I am always into perusing your instagram feed to be honest. It has really reminded me to try with the uniform look. I initially didn't try too hard, so I would just know where i naturally lean if that makes sense. i naturally tend to have really rich colors in my posts so that's starting to become a part of my brand. Thanks for your tips. As always, very helpful.